Updated Whistler Village townhome with granite tile counters, gas fireplace in living room, wood floors, upper level laundry closet with shelving, lower level 1/2 bath and spacious deck. Whistler Village amenities include outdoor pool, hot tub and clubhouse with bathroom/changing areas. 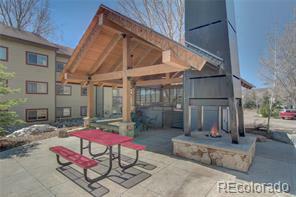 Located minutes to the Steamboat Ski Area on the free bus route!